Everyone is invited to a special celebration service on Sunday, November 17th at 10:00 a.m., as the New Dimensions Tabernacle family honors God for his goodness & mercy towards us (Isaiah 6:3). 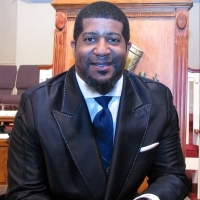 Our special guest speaker will be Bishop Jonathan D. Ellis, pastor of the Conquerors Assembly in San Antonio, TX. The celebration will include singing, dancing and more! Come expecting a mighty move of God.